Obtain my content automatically via Sick Beard, Couch Potato, and Headphones. Process that content automatically making it available for playback without any interaction from me telling my media center what video each file is. Playback that content locally on my HDTV in full 1080p with 5.1 surround sound. Stream that content to other Mac’s on my network. Stream music over iTunes to my local computers. Host an FTP server to be able to interact with the files while away from home. With a Mac Mini as the hardware, running OSX 10.6 I am able to accomplish all of this simply and elegantly. First let’s start out with the hardware. As mentioned this is a 2009 Mac Mini which still works great accomplishing all the tasks I expect it to. Here is a list of key features why this works extremely well as an HTPC. With one simple adapter, Mini-DVI can be HDMI (with no audio unfortunately), DVI, or VGA. Plenty of USB ports for any add-ons such as Xbox 360 controller adapter, etc. The headphone jack is actually capable of being SPDIF meaning with a mini toslink to toslink adapter, you can actually use the 5.1 audio directly from your Mac Mini. Plenty of processing power and memory to be able to handle unpar/unraring my content, as well as plenty of video power to play it back in full 1080p with no hiccups. Firewire 800 port to connect to storage devices. Wireless N (dual band) as well as Gigabit ethernet built in. Newer iterations of Mac Mini’s actually have built in HDMI (with audio) as well as further upgrades to processing power, etc to be even more efficient for you. Notice this also has a built in SD card slot for showing off photographs as well, directly from your digital camera. As mentioned, I’m running a plain jane install of OSX on my Mac mini. After subscribing to a Usenet provider, I simply follow the guides for installing SABnzbd, Sickbeard, Couchpotato, and Headphones. 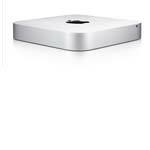 Point SAB at my external storage device for TV, Movies, Apps, etc. The only category of SAB I change up is the music category. I load up iTunes and change my iTunes music directory to my external storage (so we don’t have to worry about space anytime soon) and point SAB to the “Automatically add to iTunes” folder within my newly established iTunes library folder. For me the path looked like this “/Volumes/Storage/Music/Automatically add to iTunes”. Don’t forget you can drag and drop the folder into the text field in SAB to have your Mac automatically generate you the full path (Gotta love it). This way now, when headphones grabs a new album, it goes directly to my iTunes library for categorization. Turn on sharing in the iTunes preferences and you are now sharing out your library, along with any new albums that are grabbed. Once this is all setup, I go and download Plex and install it on my Mac. I then just point my Plex Media manager at the folder on my storage for Movies and TV shows and let it do it’s thing. Once that is complete I correct some metadata errors and we are good to go. (GUIDE ON THIS TO COME, Plex install initially can be a bit tedious if you already have content). Then I go back into my Sick Beard and Couch Potato, tell them to update my Plex library when they are done grabbing content (check posts on these apps for guides how to do so) and let it roll. Once this is all done, let it start downloading new content and populating Plex. I am interested in ripping(backing up) my blu-ray collection to a NAS. Is that possible and will it play back well with full DTS? Great question, as long as you rip in on a proper BD drive. Depending on the network connection (wireless, wired 100 mb vs 1gb) it really depends. Check out our article on home theater PC suggestions here. I have one question, I have the same generation mac mini server version that you do. Do you find the video locking up when are playing video while you are downloading and unpacking files from sabnzbd.? If you do is there anything that you know of that can be done to fix it? I have a late 2009 Mac Mini. I have 4GB of memory in there and I have not really experienced it locking up, per se. I have experienced if watching a HD MKV and SAB is unpacking it might drop a few frames, but never locks up. Then again, I am doing only 720P all the time. Are you doing 1080P?